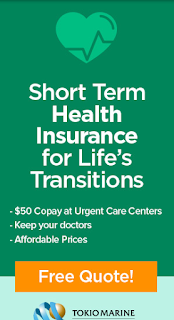 Received a notification from my short term health carrier, Tokio Marine HCC, that the new CMS/HHS rule allowing only 3 months short term coverage will go into effect April 1st. Due to this change (was hoping HHS would void it), carriers re-filed their short term plans with the State of California. Currently, those re-filed short term plans are pending regulatory approval. As such, it is likely that approvals will not be granted prior to April 1 and the product will be off of the market until such approval is received. If you want to get a short term health plan up to 6 months, you will need to purchase it prior to April 1st with effective start date of 3/31 or earlier.